Words: Courons voir l'Enfant Jésus, from Dictionnaire de Noëls. 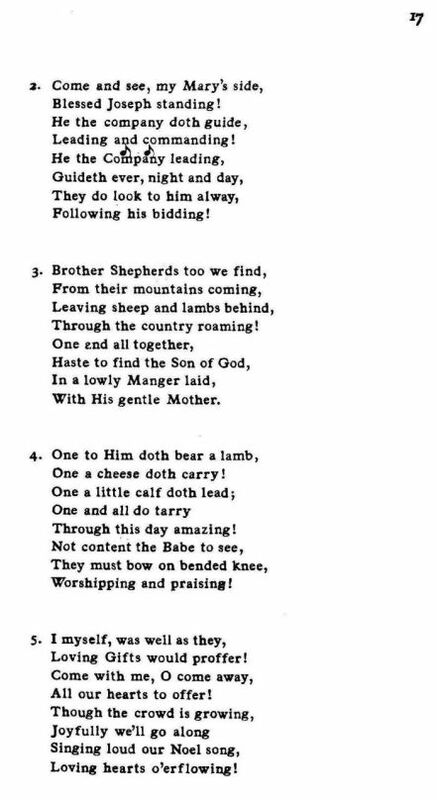 Source: Richard Runciman Terry, Two Hundred Folk Carols (London: Burns Oates & Washbourne Limited, 1933), Carol #47, pp. 16-17. 1. Come and see the Holy One! When the lovely Babe we see! One a cheese doth carry! All our hearts to offer! 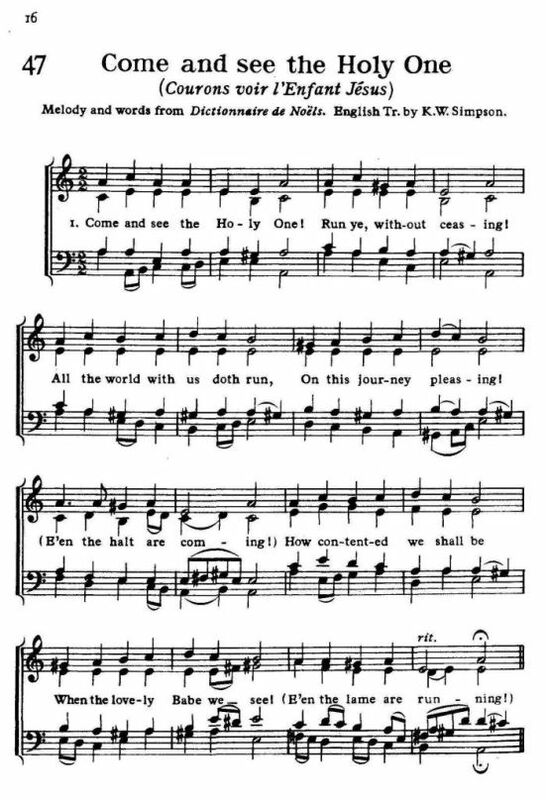 Sheet Music from Richard Runciman Terry, Two Hundred Folk Carols (London: Burns Oates & Washbourne Limited, 1933), Carol #47, pp. 16-17.